Fall is officially here! The air is getting crisper, the leaves are starting to change colors, it’s time to start pulling out our sweaters again, and fall harvests are kicking off! Pumpkin patches, hay rides, and warm apple pie — what’s not to love? While you’re making your fall RV trip through Ohio, make a stop at some of these family-friendly pumpkin patches. And don’t forget to grab a cup of apple cider! Kids love Patterson Fruit Farm. Maybe it’s the corn maze or maybe it’s the treehouse in the woods, although more than likely it’s because of resident draft horses, Barney and Bob. Visit the farm from now until November 1st for their Fun Fest days and enjoy wagon rides, tasty concessions, and pumpkin painting. Hours vary throughout the week so call before heading out. The perfect way to welcome fall, Patterson Fruit Farm is also home to a great market where you’ll find the fresh veggies you need to cook delicious meals in your fifth wheel. Opening weekend of Pumpkin Fest is almost here! Held yearly at Red Wagon Farm in Columbia Station, the fall festival is a family tradition for many. Wagon rides, five-acre corn maze, and the always popular Scarecrow Village make for a fun-filled day. 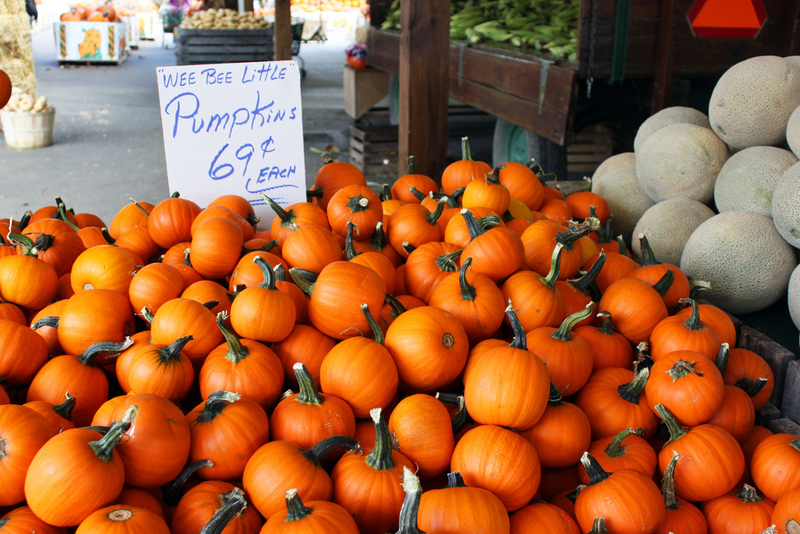 The Pumpkin Fest runs every weekend from Saturday, September 26th until October 31st, but call ahead just in case. A roundup of Ohio Fall festivals just wouldn’t be complete without mentioning Old West Pumpkin Fest. This yearly festival is so jam-packed with activities you may end up visiting more than once. Take the little ones to the pumpkin slide and hayride. And if you’re traveling with some brave kids, head over to the Spooky Ranch for some truly terrifying fun. Ready to hit the road on a Fall RV adventure? Visit our Ridgeville, Ohio location today to take a look at our newest arrivals! Our experienced staff will show you around and help you find the perfect RV to last season after season.